Clan Maclean Atlantic's 30th anniversary celebrations were held on May 15-17, 2009, at St. Francis Xavier University in Antigonish, Nova Scotia, to coincide with the MacLean Sinclair conference. Rev. 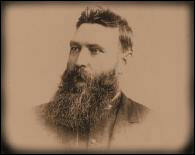 A. MacLean Sinclair was a brilliant historian who wrote one of the best and most accurate books about Clan Maclean. More information about A. Maclean Sinclair may be found here. The symposium was sponsored by Clan Maclean Atlantic, the Celtic Studies Dept. of St. Francis Xavier University, and the Clan Maclean Heritage Trust, which is based in Scotland. Some information about the speakers is here. A Maclean cairn was unveiled in Antigonish as part of the celebrations. Many members of Clan Maclean Atlantic sent stones that were included in the cairn. Other events for the weekend included a President's Reception, a Dinner and Ceilidh, and a Mass and Kirkin' O' The Tartan. The program for the weekend may be found here. The Celtic Studies Dept. at St. FX is here.